Do you like Guns 'n Blocks? Share it with your friends. 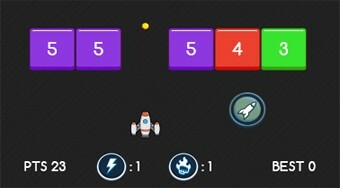 Space shuttle space shuttle and eliminate obstacles in the form of colored dice with numbers.